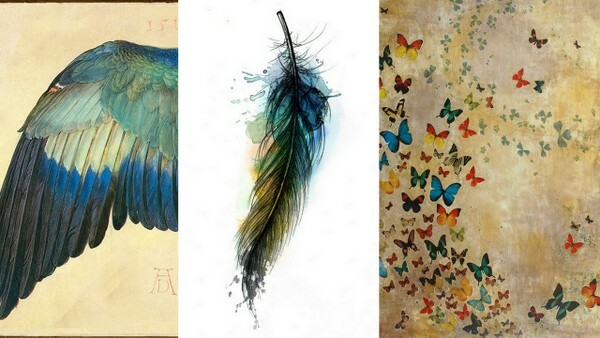 Our Feather Story began before we knew there was a feather story. In 2012 I rebranded my blog under the name AmyJBennett.com and in the process, I used a technique of pinning images to a Pinterest board to indicate what feeling I wanted to evoke from the blog. 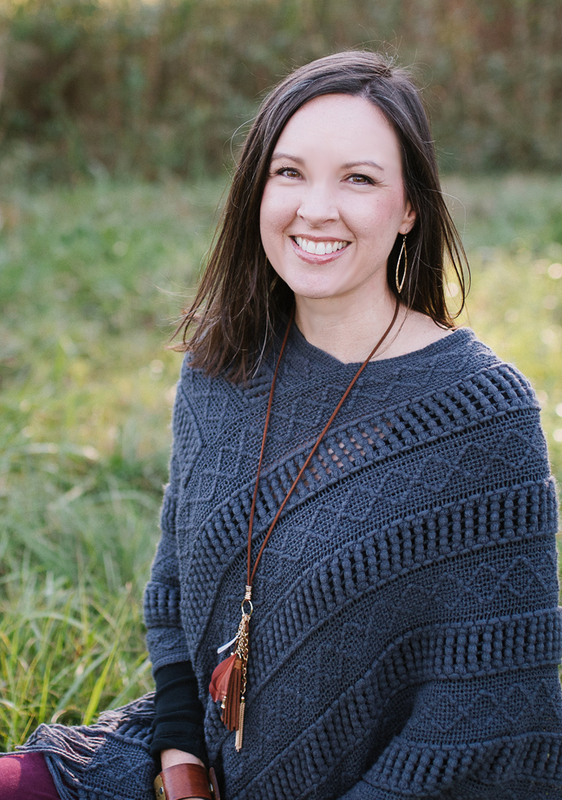 As my brand consultant, Holley Gerth reviewed the boards and found a theme of feathers, a sign of encouragement or lifting others up. In October 2013, I attended the blogging conference Allume where I really began to seek God about the future of the blog. In the midst of it, I won one of 10 paintings that had been painted on the spot. 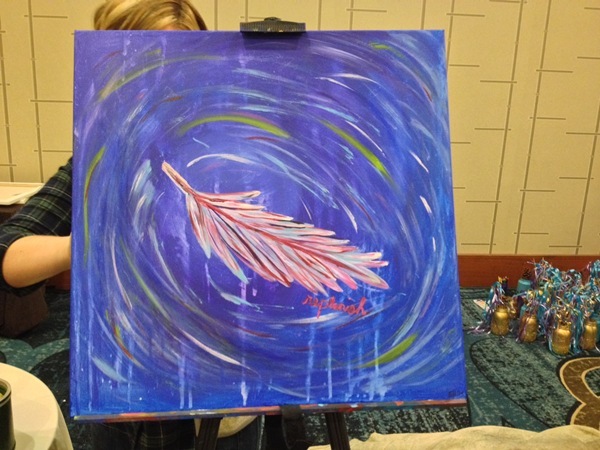 My painting was of a feather. I took that as encouragement that I should continue seeking God to replenish me and out of the outflow, continue writing. You can read more about it here. We adopted our son Jac0b on August 7th, 2014. During our visits in July, he found two feathers and asked us to keep them. After we adopted him, we learned that he had been collecting feathers while he was in foster care and had a bag of them in his things. 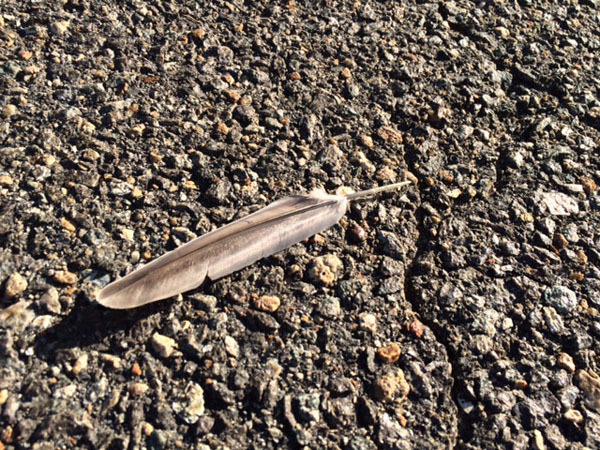 One morning on a walk, I was planning to write about this connection and asked the Lord for a feather. He directed me and I found 3 feathers. I took that as a sign that God loved us and was with us in the process and he would provide anything we needed to get through. Since then, so many others have been finding feathers, receiving their own comfort. 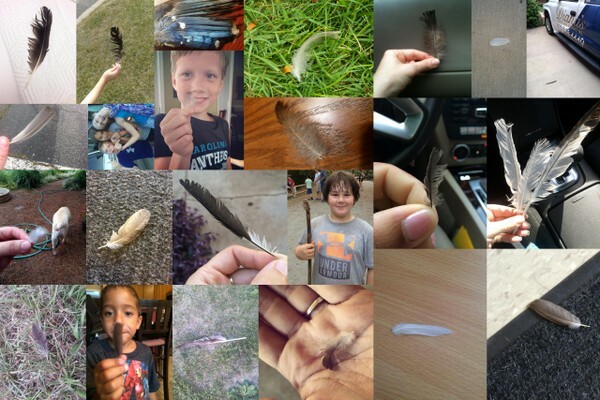 I started the tag #FeatherFriday on social media. And yet, someone is messaging me every single day with feathers found. 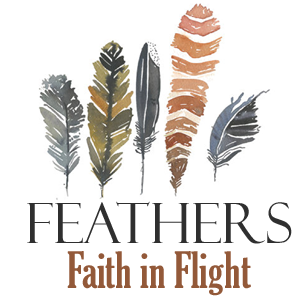 Here God teaches us how the feathers are a sign of how he covers us and takes care of us like a hen with her chicks. He ties that back to the Jewish prayer shawl. 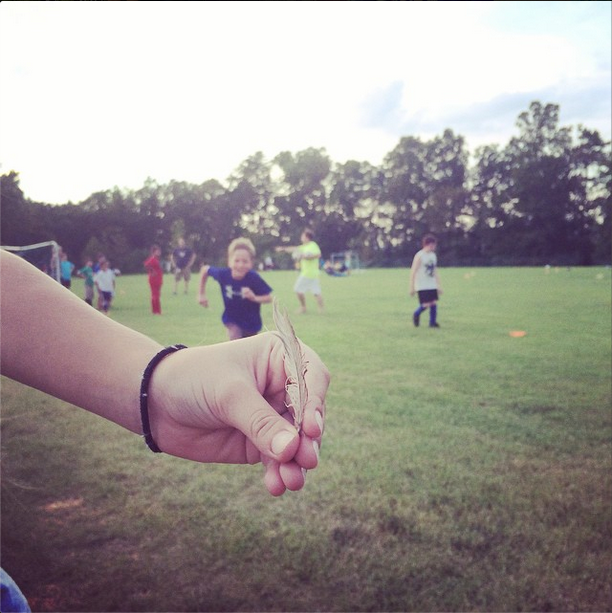 Here I detail how Jac0b found SIX feathers during his first soccer practice. God then revealed that the feathers were like manna was to the Israelites and how ultimately, Jesus is our daily manna. 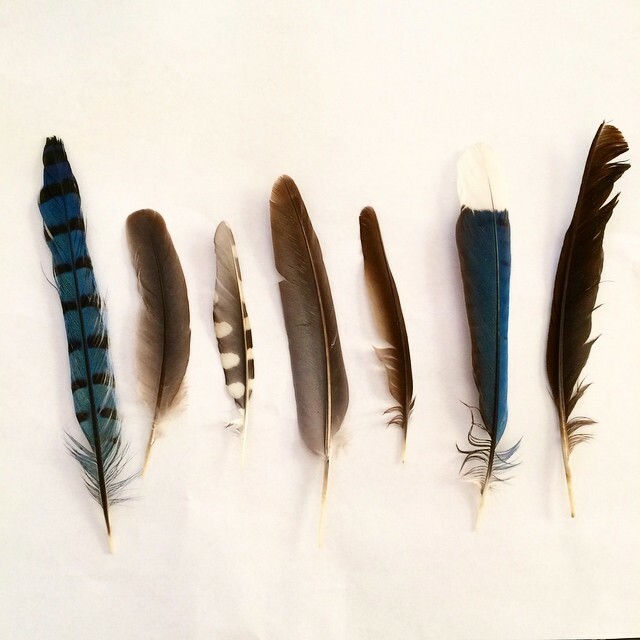 Jessie Weaver shared in a guest post about how she found her feather and what it means when you don’t find your own feather. A friend gave me a feather from the shores of the Sea of Galilee. More in this post.